Apples & Onions was founded in Los Angeles, CA in 2006 by Lydia Ellison and Sarah Lagrotteria. In 2014, Sarah relocated to Columbus, Ohio and Lydia has been carrying on the A&O tradition of easy, elegant entertaining and exclusive private chef services ever since. Feel free to contact applesandonions@gmail.com to say hello. Lydia Ellison Howerton has provided professional cooking services to some of Los Angeles’s most elite clientele. Currently, she is the private chef for one of the world’s most influential families, managing a team of chefs for daily meal service, catering and special events. She specializes in making healthy food taste good. 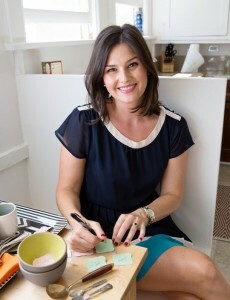 She also works as a freelance party stylist and entertaining consultant for national websites and local corporations. Lydia has a passion for making cooking and entertaining more accessible for those in her generation. In addition, Lydia has extensive on-camera and television experience. She received her B.A. in Acting from the elite School of Theater at the University of Southern California. She has booked numerous national advertising campaigns, including starring in commercials for Toyota and Jack in the Box, as well as serving as the national spokeswoman for SlimFast from 2008 – 2010. Lydia grew up in Northern California and comes from a family of artists and designers, including a painter (dad), a Feng Shui Interior Designer (mom), a metal sculptor, an artisan reclaimed wood furniture builder and a photographer (younger brothers). She currently lives in Los Angeles with her husband, Drew, who is still learning how to boil water. Sarah Lagrotteria left Apples & Onions in January 2014, when she relocated to Columbus, Ohio with her husband and daughter. She currently works as the recipes editor of edible Columbus and teaches cooking classes at The Seasoned Farmhouse. You can find more of Sarah’s work at http://www.foodloveliterature.com. If you meet someone in your adult life who was touched by the same description you loved in the most obscure book of a beloved children’s series, then we think you should start a business with them too.